When you buy a hearing enhancement device you want it to work properly right out of the box and you want good ongoing support. Well, the good news is that Otofonix hearing amplifiers fit into that category. In fact they have such a good reputation that a lot of people are already familiar with their product range. If you fall into that category, you will be pleased to know that you can buy their products from Amazon. However, if you want to know more before you buy, that is OK too. We have taken the time to read hundreds of reviews, several forums and other sources on your behalf. Below is a summary of what we found out. The idea is that after you have read through our Otofonix Elite review you will have all of the information you need to determine whether it is the right hearing amplifier. If you are still unsure then we recommend checking out our article on the best hearing amplifiers available today which compares several different models. YOU ARE NOT ALONE - We care about each customer like a family member, and want you to have the best experience possible. That's why we offer FREE Unlimited Phone Support. If you have any questions at all while using your hearing amplifier devices, we are standing by to help! Give us a call! Otofonix is a US-based business that was founded in 2009 when the law was changed to allow personal sound amplifiers to be sold over the counter. One of its co-founders practiced as a Board-Certified Otolaryngologist (ENT Physician) for 25 years. This firm has a very good reputation. They are continually innovating and adding new aids to their range. Today, we are going to look specifically at the Elite in-ear hearing amplifier. This is Otofonix most affordable product. Who can use Otofonix hearing amplifiers? Hopefully, before going out to buy yourself a hearing aid or amplifier you will have seen your doctor. Occasionally, a loss of hearing is caused by an underlying health issue, something your doctor will be able to spot and treat. So, seeing the doctor is not a step you should skip. He or she will also be able to assess your hearing loss to determine if the OTC devices sold by firms like Otofonix are likely to help. Hearing amplifiers like the Elite can help most people to hear more. However, they are not suitable for someone who has lost most or all of their hearing. How expensive are Otofonix hearing amplifiers? Price wise, we would describe this hearing amplifier as being at the top-end of the market. We have included it in our reviews because most users seem to have a high opinion of this device. Do people like using Otofonix hearing enhancers? Overall users really like Otofonix hearing products. 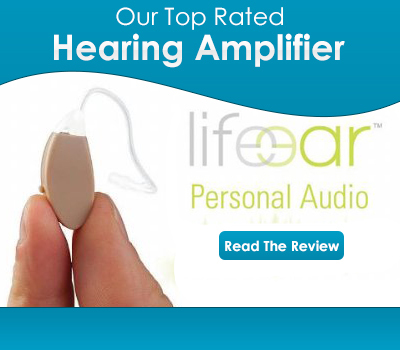 They are clearly well designed and it is clear from the reviews that this manufacturer is continually improving its hearing devices. However, it is probably best for you to take a few minutes to carry on reading. Doing so will give you a far better idea of what is good and what is not so good about their products. Is background noise a problem with this device? The way that amplifiers work means that they magnify all sound, so you do end up hearing background noise more. It is something you get used to, but it takes time and can be very irritating. To help to combat this issue the Otofonix Elite has 4 pre-programmed settings. These worked reasonably well, but despite this, some users still felt that background noise was still too intrusive. Is excessive feedback an issue? Feedback is a potential problem with any electronic hearing amplification device. However, the Otofonix was pretty good at keeping this to a minimum. It seems that its built-in Adaptive Feedback Cancelling and Layered Noise Reduction work quite well. It also seemed to work OK when using the phone; nobody said they had issues when using either a cell phone or landline. Is the sound quality good or is it tinny? The sound quality was generally regarded as good. This is not surprising given the fact that this is a 12-band product with 10 volume settings. With a bit of trial and error, most users found a set-up that worked for them. However, a few users did find that it emphasized high-pitched sounds more than they liked. How comfortable are Otofonix hearing amplifiers to wear? Most users found this hearing device very comfortable to wear. However, a few people said that the ear they were wearing it in itched. Changing the size of the tip or the length of the tubing used seemed to cure the problem. A few rubbed a thin film of olive oil over the tip to solve the problem. But, this is not an approach that is recommended by the manufacturer. Ordering both of these components online is easy. They are widely available. Is the Otofonix Elite waterproof? These hearing enhancement devices are not waterproof. In fact if you workout heavily, get caught in the rain or live in a humid environment, Otofonix recommends your using a drying device. This is very sound advice, because moisture will, over time, degrade the electronics. However, this is true of any hearing aid or amplifier. Otofonix´s helpline staff will advise you about this in more detail. Can I wear them in both ears? The Otofonix Elite hearing amplifier is available in both left and right ear configurations. You can buy them as a pair or as single units. People definitely do use them in both ears. The fact that each unit can be independently adjusted means that a lot of people get good results when they use them in this way. Virtually nobody complained about battery life, which is quite unusual when it comes to hearing aids. They, typically, go flat quickly. Most users said each battery lasted around a week. However, those people that re-ordered the same batteries that came with the device reported no major issues relating to battery life. Plus, several complemented Otofonix on the fact that the battery cover stayed in place. So, clearly, not all hearing aids have secure battery covers. Does Otofonix offer a good level of after sale support? From the reviews and forum comments, it is clear that this hearing aid company´s level of customer support is good. They are happy to speak to you over the phone or correspond with you via e-mail. They can usually work out what the issue is, so you do not have to go through the agro of returning the product. Instead of only offering a 30-day money back guarantee, this firm provides a 45-day one. At least that was the case at the time of us writing this review. This trial period gives you plenty of time to try out all of the settings and firmly establish if this amplifier is right for you. In addition, there is a 12-month manufacturer defect warranty. 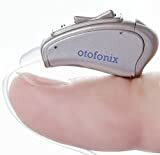 Where can I buy an Otofonix hearing amplifier? Otofonix has an Amazon store, so you can buy it there. Their listing there is very in-depth and they answer any questions that are left on their Amazon listing almost immediately. Therefore, that is where we send all of our readers who want to buy this device.